Transit managers around the world are beginning to realize the necessity for implementing zero emission technology in their fleets. Are you one of them? Hydrogen fuel cells, in particular, have a clear and demonstrated value for public transport operators. 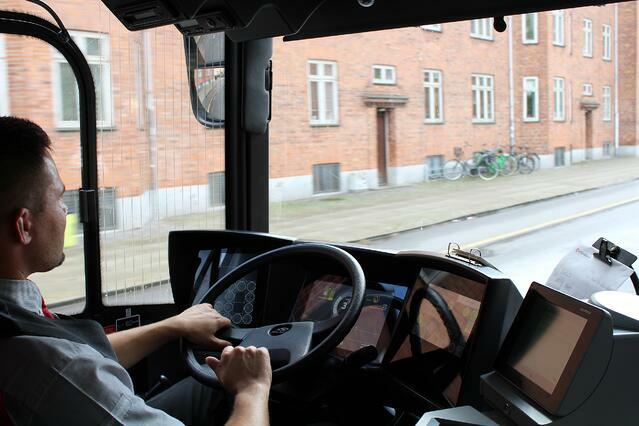 However, the uncertainty around the transition from diesel-powered to zero emission buses can stand in the way of many operators' clean energy goals. Like any major policy shift, the switch can feel intimidating. Although fuel cell technology has been around for years, transit operators can still feel like implementation costs are an obstacle to fully embracing the technology. Hydrogen fuel cell technology is being used by more and more transit agencies. As a result the production runs to manufacture this technology are longer and this scale reduces cost per unit. Fuel cell electric buses are benefitting from the reduced cost of the mature electric powertrain. 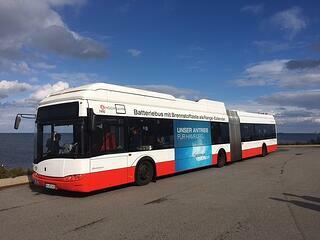 The price of a long-life bus battery is expected to lower by 40% in the next 3 years. The cost of hydrogen storage is also expected to reduce by 40% by 2020. As an additional incentive, many transit operators can rely on public funding. The European Union offers such incentives, and has already funded a number of Fuel Cell Bus projects across Europe. This is good news for regions like Scandinavia, who have committed to a swift and significant reduction in fossil fuel use over the next few decades. Adopting hydrogen technology now places your transit company ahead of the herd, making you a trailblazer in your industry. You will have a proven solution that puts you on track to meet your zero-emission targets, without compromising on bus performance, range, or service. Your company will become an inspiration to others who want to improve air quality and health in their own communities. As agencies around the world consider zero emission options, they will look to your company as an example to follow. As time goes on, the costs and consequences of continuing to use fossil fuel vehicles will rise. At the same time, zero emission hydrogen fuel cells will become more widespread. However, the cost of waiting to implement this technology can be significant. Transit operators who make the switch now can avoid air quality issues and their associated health costs. Traffic congestion and the need for road repairs also decrease after implementation. Another important benefit is that disadvantaged communities in urban areas will benefit from a clean transit solution. They will have more access to jobs, education, and health care, with no additional pollution being released into their communities. For transit operators, now is the best time to act. Find out which funding sources are available for your particular agency. Get in touch with other transit operators who have already deployed zero emission buses, and learn from how they did it. Finally, realize that the costs of not acting now are higher than those of making the switch. Don't miss your chance to be an inspiration to people around the world!